Schools chief Sherri Ybarra is preparing to ask taxpayers to support a $21 million per year school safety initiative that a school security official — and other key education stakeholders — say was developed without their input and could lead to chaos in an emergency. The leader of the Idaho Office of School Safety and Security told Idaho Education News he was shocked and confused that Ybarra developed the Keep Idaho Students Safe plan without the help of his expert team. “We didn’t even know she was looking at doing any kind of safety initiative until she announced it to the general public,” said Brian Armes, program manager of the Idaho Office of School Safety and Security. The Idaho Legislature and Gov. Butch Otter created the Office of School Safety and Security in 2016 and gave the group statutory authority and responsibility for school safety in Idaho. Experts from the office have visited two-thirds of Idaho’s more than 700 public school campuses and will visit them all over a three-year period. With each building visit, they assess and inspect for safety and threats, form partnerships between educators and emergency responders and develop personalized safety plans for each school. Ybarra’s plan is not school specific. It’s a one-size-fits-all statewide plan. Armes is concerned that competing security plans could lead to chaos in an emergency setting and a crisis could become worse. One major difference is Ybarra’s plan recommends placing trained, security personnel or a guard in each school. Not something Armes would recommend. Security personnel could be an exception for rural schools isolated from emergency responders, but more often his office supports school resource officers. His office also would put a bigger focus on prevention and recommend schools utilize an aide trained as a behavior interventionist or in deescalation training. “Our stance is weighted heavily on preventive actions,” Armes said. Armes also said a security presence in every school — the most expensive part of Ybarra’s plan — appears to only address active shooter scenarios. the reliability of a school’s public-address system. “As school personnel, everybody is interested in saying ‘Let’s make sure whatever effort we do is a really substantial effort and helps the overall safety and security profile and not just a quick answer that feels good or sounds good and may not have longevity,” Armes said. The Idaho School Boards Association, the Idaho Education Association and the Idaho Association of School Administrators said they, too, were left out of the creation of Ybarra’s safety plan. Frustration with Ybarra’s KISS proposal has been simmering for weeks this summer, but the issue reached the boiling point last week during the Idaho Association of School Administrators candidate forum in Boise. Ybarra told a room full of hundreds of school administrators that she designed the KISS program with stakeholders at the table. Quinn Perry, the Idaho School Boards Association’s policy and government affairs director, responded immediately on social media. Reached later by Idaho EdNews, Hoy said he felt Ybarra’s reaction to his question was defensive. In an interview Monday, Idaho Education Association President Kari Overall said the statewide teachers’ union was not included in the drafting or brainstorming phases of the KISS initiative. “Like the other stakeholders, we heard about it when the press release came out the day it was unveiled,” Overall said. Idaho EdNews requested an interview with Ybarra for this article, but Ybarra and her staff did not acknowledge that request. Her communications staff instead sent over eight pages of notes and an assortment of news media links with coverage of her bullying and school safety initiatives and a timeline of events that relate to school safety or bullying. Ybarra’s staff was blindsided by the fact anyone would accuse her of not working with stakeholders to develop her plan. 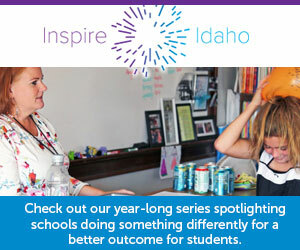 “The superintendent has been gathering feedback and ideas toward this initiative for a long time, both in the genesis of the initiative’s basic shape and in a concerted, ongoing effort to refine the ideas into a finished proposal that will address the needs and concerns of organizations, schools, families and students going forward,” her staff wrote in a Wednesday email to Idaho EdNews. The SDE staff did say Ybarra partially relied on responses to the Youth Risk Behavior Survey to develop her plan, and that KISS sprung up from her previously announced anti-bullying campaigns. After rolling out the KISS proposal in March, Ybarra launched a public service announcement seeking feedback from the public and educators. She has also reached out to Armes’ office after the fact to discuss professional development or training, and a representative of Armes’ office attended meetings May 31 and July 24. But several sources interviewed for this article said there is a difference between working proactively and collaboratively to develop a plan versus asking for a reaction and feedback after a plan has been proposed. Much of Ybarra’s staff response to Idaho EdNews’ questions centered around responses to an anonymous online survey and a series of meetings in April, May and July — all after KISS was rolled out. Is this a pattern for Ybarra? This isn’t the first time education groups have complained about Ybarra working on major policy initiatives in a vacuum. In June 2017, leaders of the ISBA and IEA wrote a letter to the governor saying they felt “discouraged,” “disrespected” and “dismayed” at being excluded from the state’s plan to comply with the Every Student Succeeds Act. Idaho Association of School Administrators Executive Director Rob Winslow said Ybarra never reached out to the IASA to develop the KISS plan before unveiling it to the public. He said he didn’t even know it was coming until he read news reports about it. Winslow said he is unsure if Ybarra proactively reached out to any school administrators on an individual basis, but he said he hasn’t heard from any of his members about working with Ybarra on the plan. The education groups’ concerns go beyond political concerns. Overall and Perry said their groups — which represent thousands of educators and administrators — take school safety and security extremely seriously because they are the ones who would have to implement Ybarra’s plan in the face of an emergency. In an emergency, their lives could be on the line as well. As a building principal, Hoy said, “I am where the rubber meets the road” when it comes to implementing school safety plans. Overall said the IEA has concerns about the plan, including proposed continuing-credit and recertification requirements for educators. “Our members don’t want mandatory certification requirements placed on them without having feedback,” Overall said. Ybarra unveiled her KISS proposal March 12. She rolled out the details during the second half of the 2018 legislative session, when she knew it was too late to receive funding for the current budget year. Although lawmakers could not act until 2019, the timing of Ybarra’s rollout allowed her to bring the plan forward before she faced a contested primary election in May, which she won. Ybarra’s plan has three prongs, all unchanged since the original March rollout. Grants to help pay for placing a trained, security presence in every school building. Mandatory continuing education courses for educators. Ybarra’s staff now says the plan will cost almost $21 million every year, and that Ybarra will seek a supplemental funding request from the Legislature in January. By describing it as a supplemental budget request, Ybarra is indicating she will ask lawmakers to re-open the current 2018-19 school budget and ask for additional “supplemental” funding for the current 2018-19 budget year. Ybarra will also seek $21 million for the 2019-20 budget. Her office is expected to submit its 2019-20 budget request to the state Sept. 1. Ybarra responded to this story with this column.